Whether you are a developer, or home-owner refurbishing your property, we can provide a ‘tiling only’ service for your project undertaking all floor and wall tiling in any area of your home from bathrooms or wetrooms to kitchens, conservatories, entrance halls or any other area you require – the possibilities are endless! 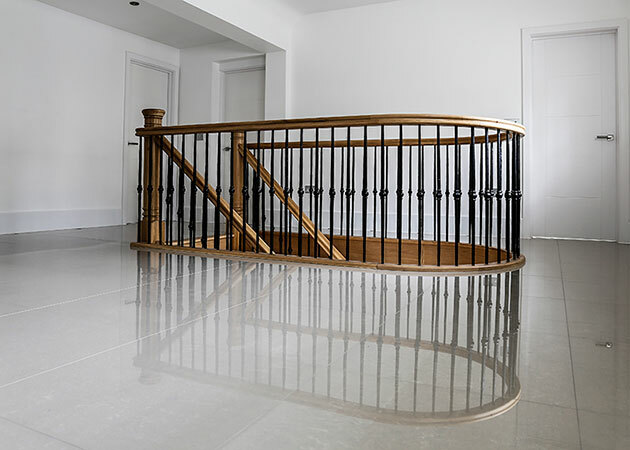 From natural stone to the hardest man-made tiles we have the experience and cutting technology to manage any material choice including marble, granite, limestone, ceramic, glass and grade 5 porcelain. We can also provide a service to the commercial sector for larger tiling projects, as we have many years’ experience in installation of both tile and slab form. Preparation is key prior to any tiling works, we only ever use top quality products and materials to give us a sound substrate to begin tiling.